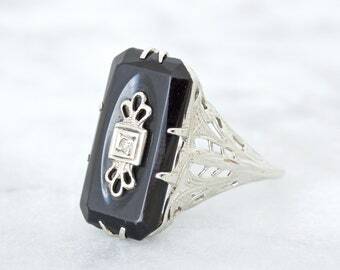 This antique ring is cast in 10k white gold and features a sleek piece of black onyx set in a beautifully engraved Art Deco mounting. 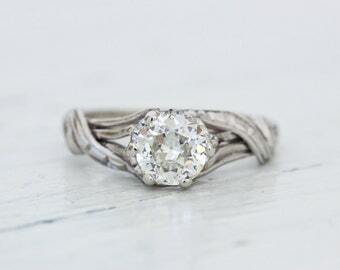 The gallery and shoulders are intricately detailed, with crisp milgrain and open filigree in an architectural structure classic to its era. 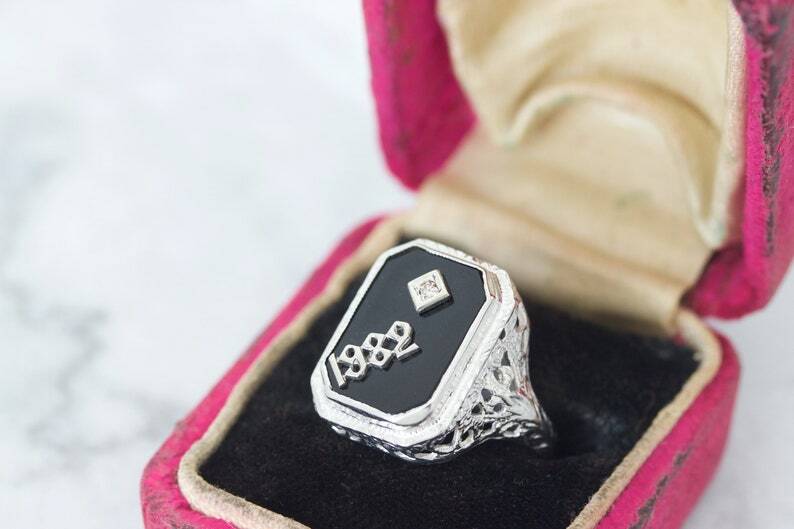 The stone features a sparkling diamond accent as well as white gold lettering that reads "1932". 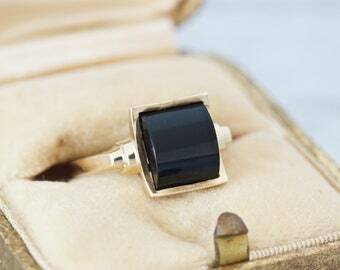 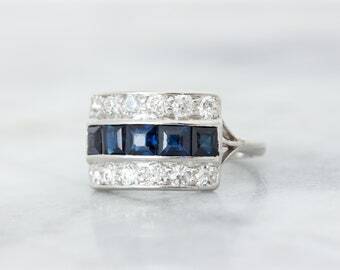 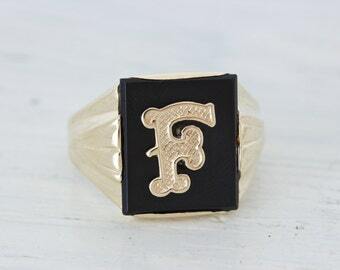 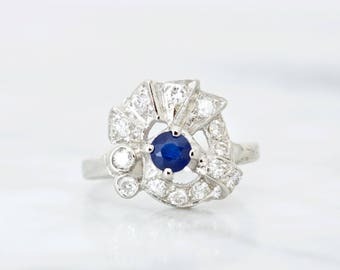 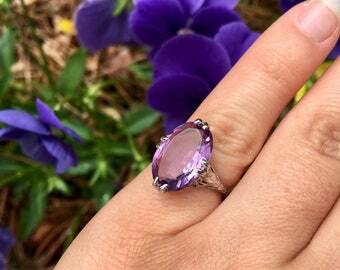 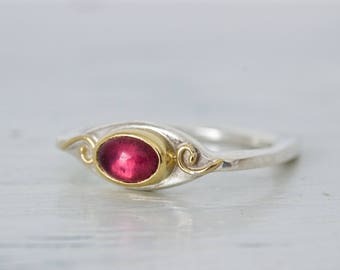 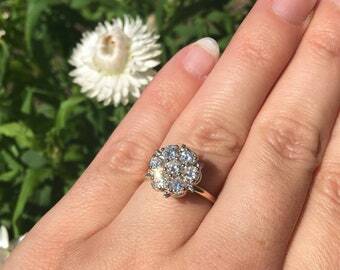 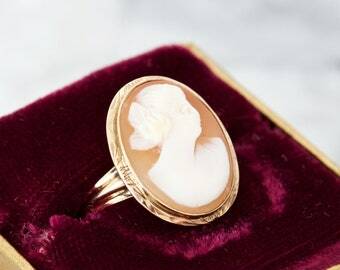 This ring is a fabulous choice for a gift or special occasion, and is in good, ready to wear condition!